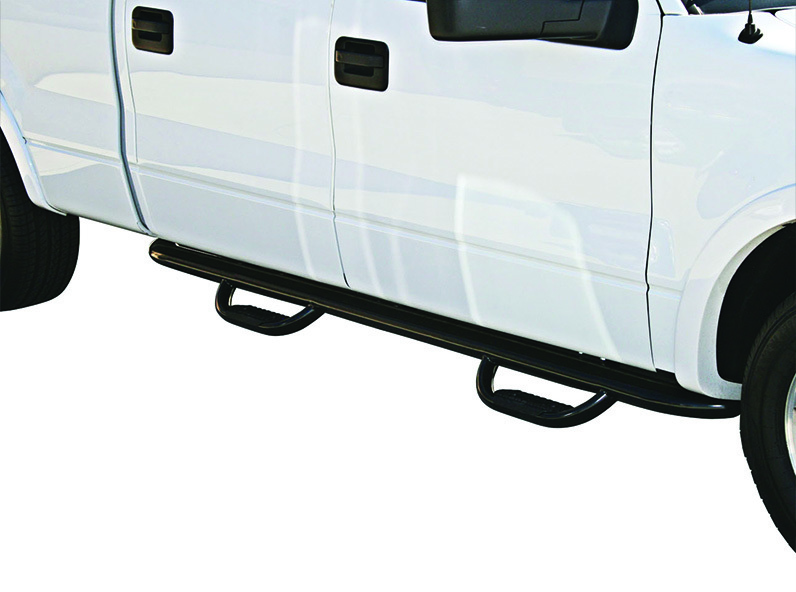 Shop truck bed liners , tonneau covers , bull bars , roof racks systems , fender flares , mud flaps , window deflectors , and back to exterior accessories. 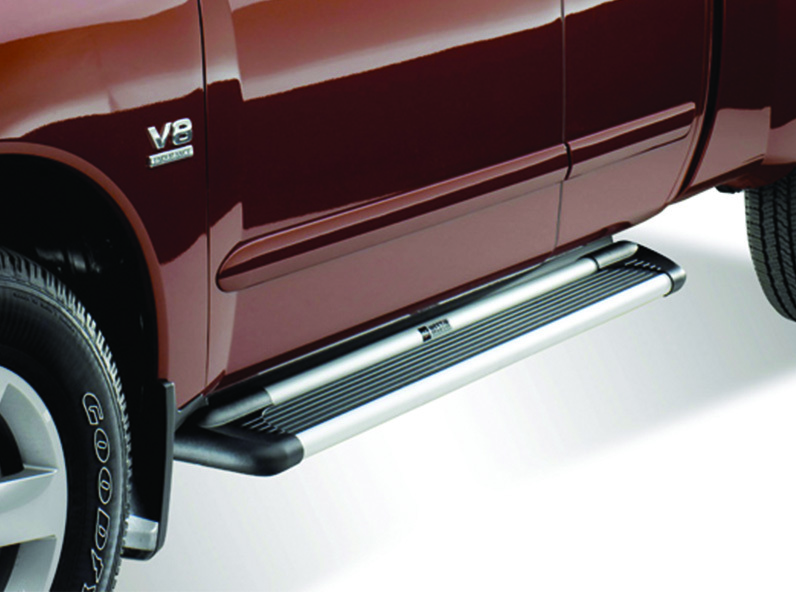 Looking for the perfect side steps or running boards to provide ease when entering and exiting your vehicle? 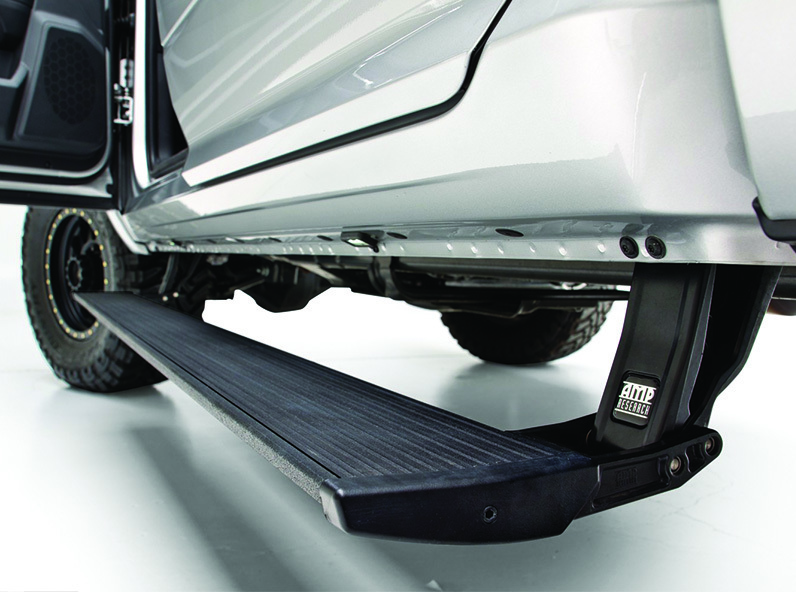 Side steps and running boards allow you and your passengers to safety plant your feet on a step in order to make it easier getting in and out of vehicles, such as SUVs and pickup trucks that are a higher reach off of the ground. 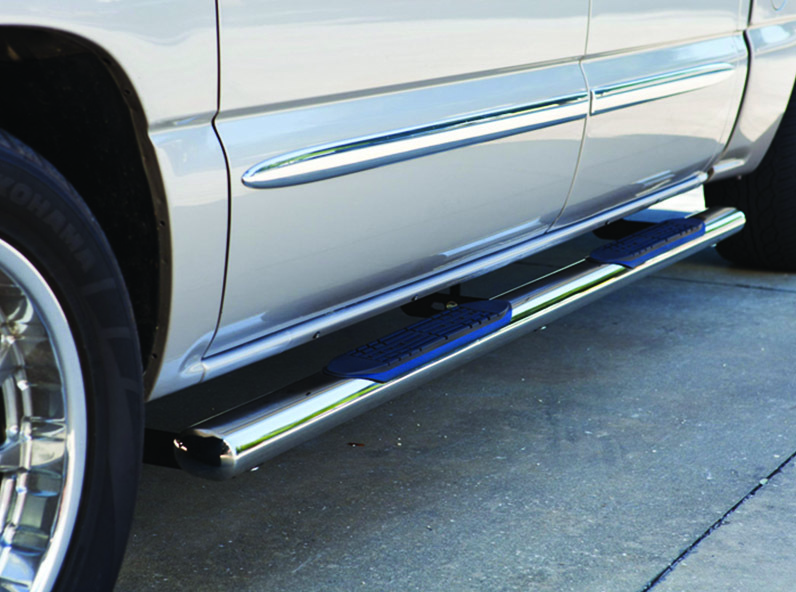 Each product is designed with quality in mind, such as military-grade stainless steel, and UV-resistant, no-slip surfaces. Plus, if you’ve got a certain style and finish in mind, you’re guaranteed to find a style that you’ll love. You can choose from polished stainless steel, black, matte black, textured black, aluminum, and black aluminum. 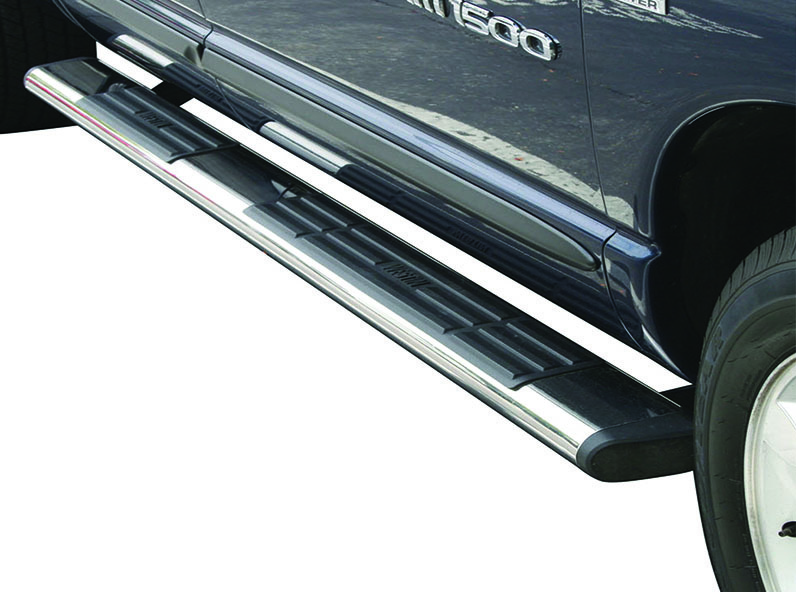 At AutoEQ.ca, we’ve got a wide range of styles to suit your needs and of course, to keep your vehicle looking great. Our range of brands include: AMP Research, Aries, Go Rhino, TrailFX, and Westin. 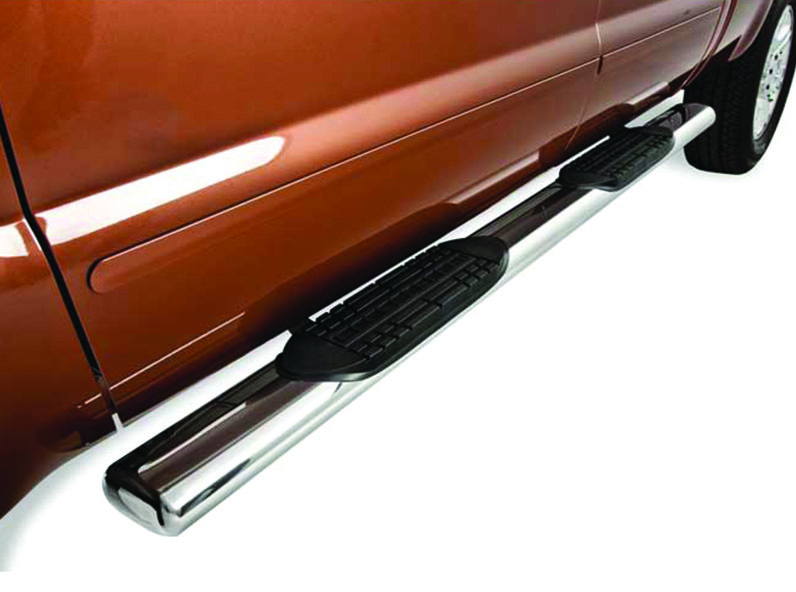 Best of all, our side steps and running boards can be applied to just about any car model: Acura MDX, Buick Enclave, Chevrolet Colorado, Equinox, Silverado, Suburban, Tahoe, Traverse, Dodge Durango, Journey, RAM 1500, 2500, 3500, Ford Edge, Escape, Expedition, Explorer, F-150, F-250, F-350, GMC Acadia, Canyon, Sierra, Terrain, Yukon, Honda CR-V, Pilot, Ridgeline, Hyundai Santa Fe, Tucson, Infiniti QX60, Jeep Grand Cherokee, Wrangler YJ TJ JK and Unlimited, Kia Sorento, Sportage, Nissan Frontier, Murano, Pathfinder, Rogue, Titan, Xterra, and Toyota 4Runner, FJ Cruiser, Highlander, RAV4, Sequoia, Sienna, Tacoma, Tundra. 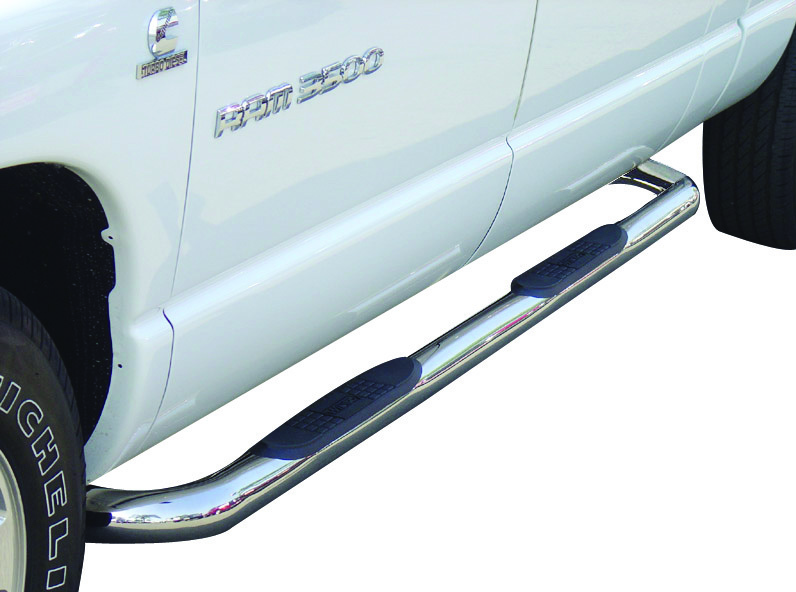 Our wide selection includes 3" round tubes, 4" oval tubes, 5" oval tubes, 6" oval tubes, drop down steps, running boards, wheel to wheel tubes, and powered running boards. 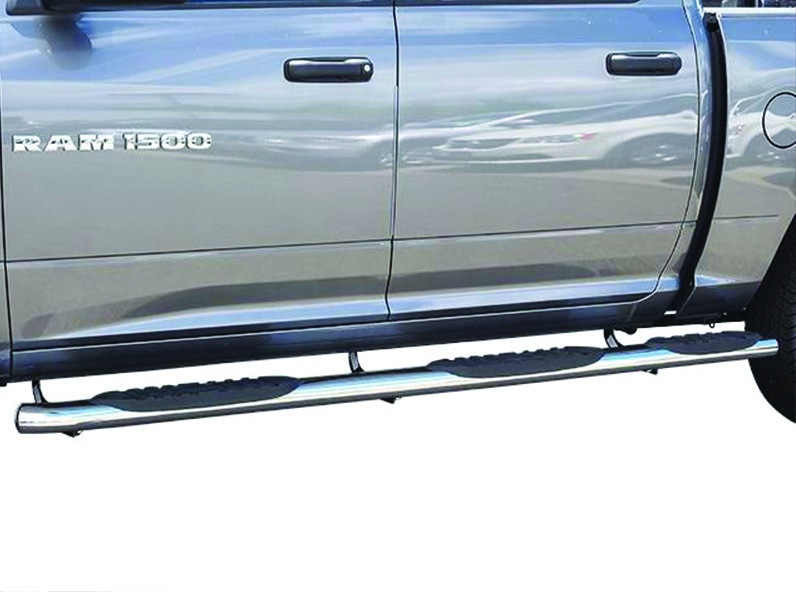 Whatever style of side steps or running boards you’re searching for, AutoEQ.ca provides the best prices and selection that will suit your budget and style. We offer free shipping from our warehouses throughout Canada and superior service to each and every customer.